Free Sugar Skull Cross Stitch Pattern or Harvest Crows for Your Holiday Flair! To add a little flair to Hector, I included several embellishments such as glass seed beads, a half zipper, a metal key with beads, polka-dot ribbon, a bat motif, and the grey flower. Design is affixed to canvas bag with double-sided fuse webbing, and then whip stitched to ensure design will not pop off the bag. You can add anything you like to tailor Hector to your desires! Skulls aren’t just a Halloween motif! 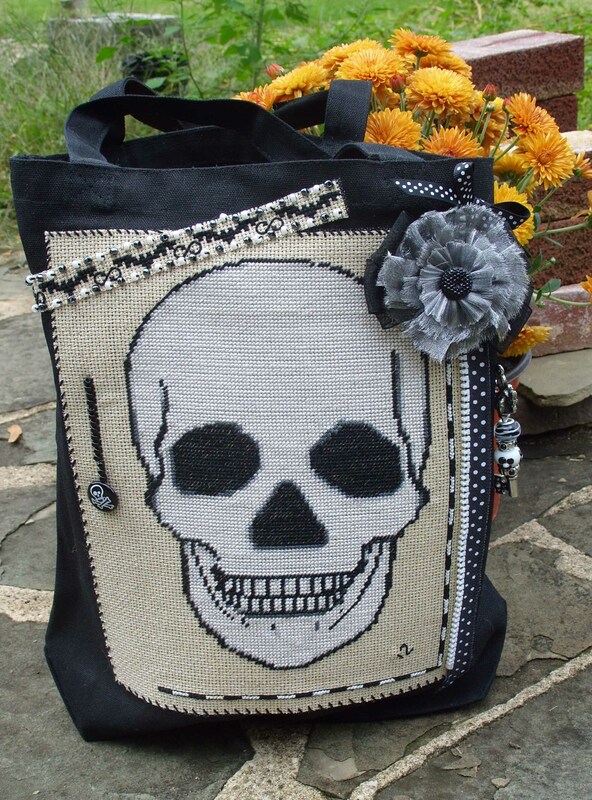 From mystery enthusiasts to horror fans, from Halloween to to Dias de los Muertos (the Days of the Dead) the skull lends itself to a plethora of design ideas. There’s only one problem…corporation pattern makers of the day don’t see them as much of a salable item. Not to worry! 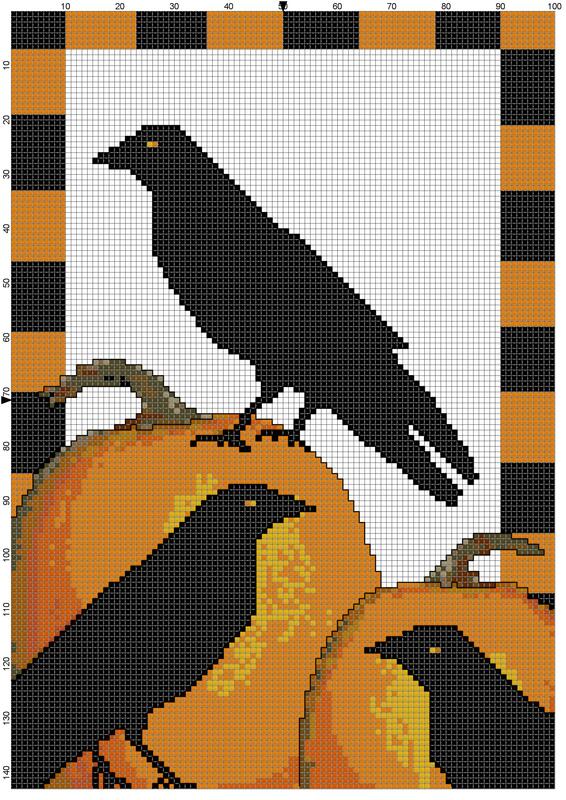 In celebration of Samhain (the Wiccan Day of the Dead) I designed this counted cross stitch pattern for your enjoyment. And, what is totally cool? Hector (that’s what I named him) is free. Legend for Hector the Sugar Skull by Silver RavenWolf. This key provides regular embroidery floss information. The actual size of Hector the Sugar Skull is approximately 6 inches by 8.5 inches. I left his forehead plain white so that you could add your own sugar skull design — flowers, swirls, beads, etc. There is plenty of space to add a variety of elements that will make Hector (or you can change him into a Hector-ette if you so desire) your unique creation. 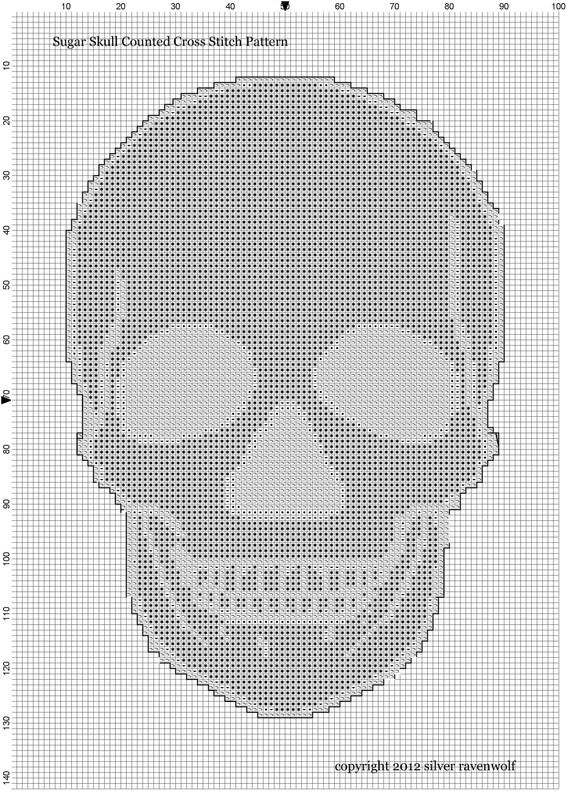 Counted Cross-Stitch Hector The Sugar Skull Pattern by Silver RavenWolf. Total Cost of Hector using DMC Pearl floss from South Central Pennsylvania over-the-counter prices — $12.75 plus tax. 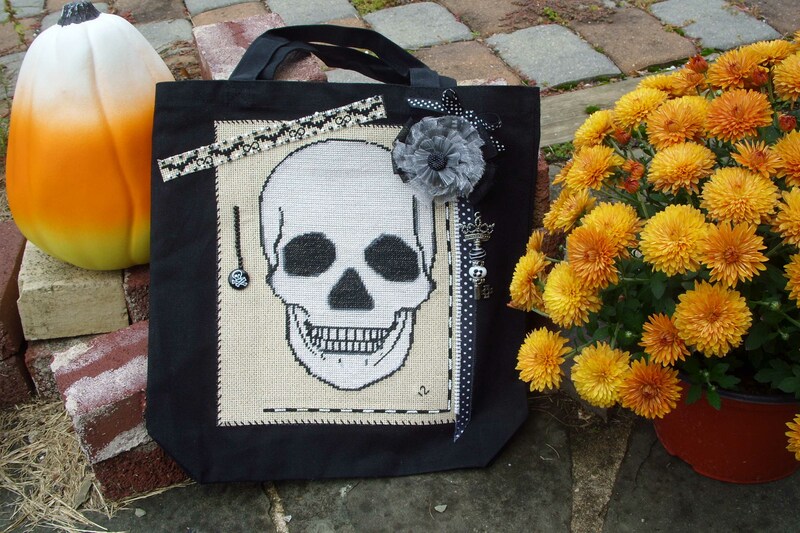 A great trick-or-treat bag that even adults will love! Hector was designed for my thirty-year-old daughter. Not into skulls? 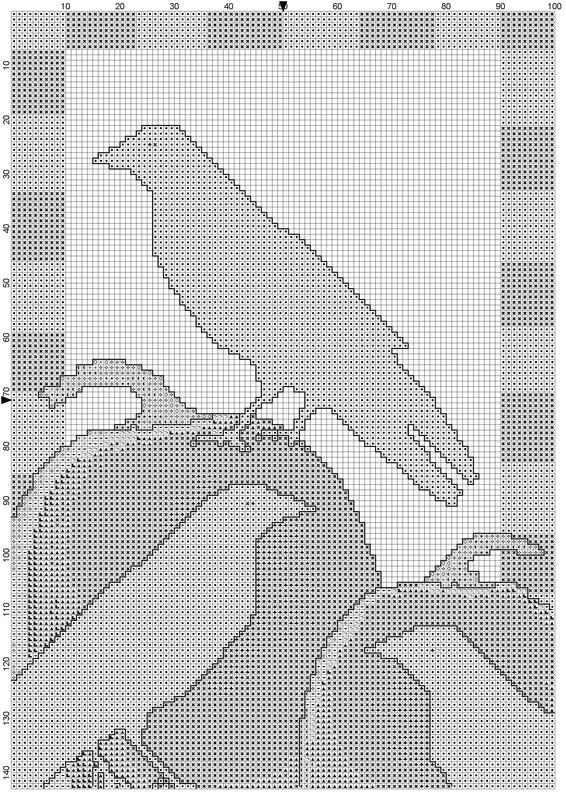 Then you might want to try my The Gathering — Crow Harvest Home Pattern — its free too! 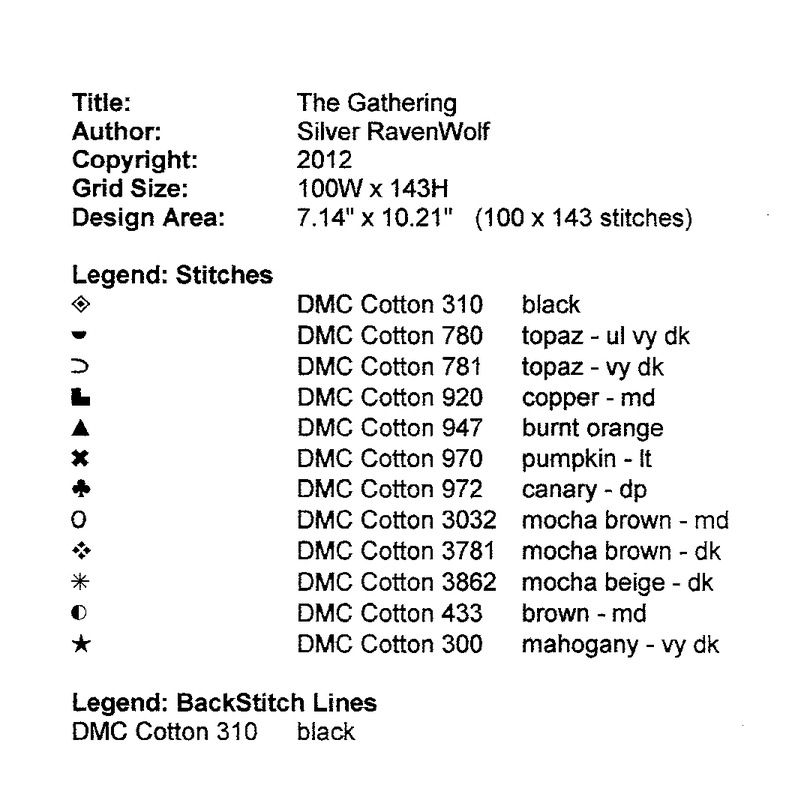 The Gathering — as shown in virtual stitches. The upper right hand corner is empty so that you can add your own lettering such as a harvest blessing. This design was originally one of my ATC cards. 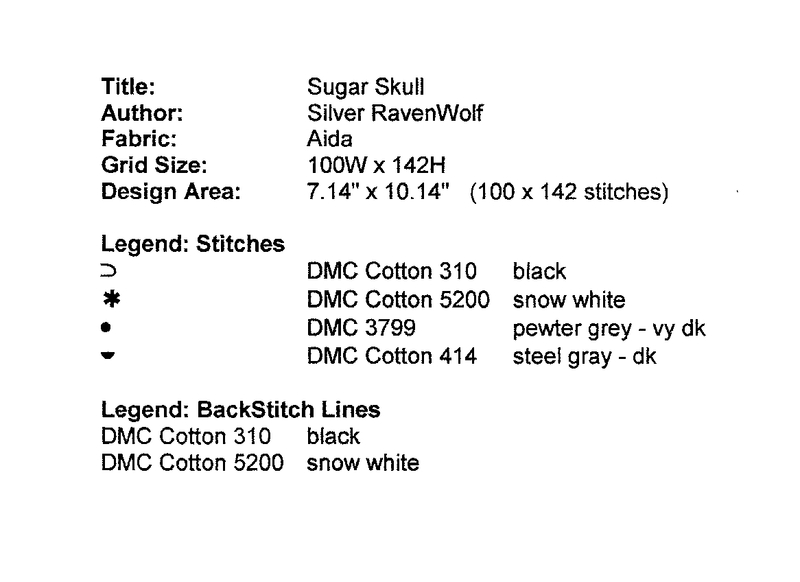 You can use the DMC Pearl, or you can use regular embroidery floss following the legend below. Draw your own additions right on the grid to fill in that upper right hand corner. 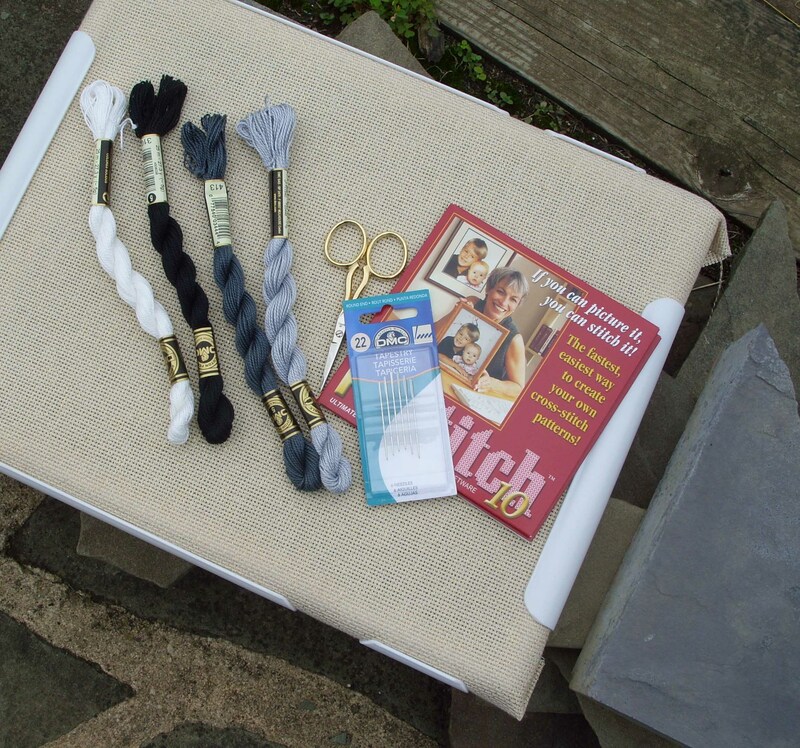 Are you inspired to turn your own designs into counted cross-stitch? I used the PC Stitch program. Supplies used to create Hector the Sugar Skull by Silver RavenWolf. Don’t want to design your own? 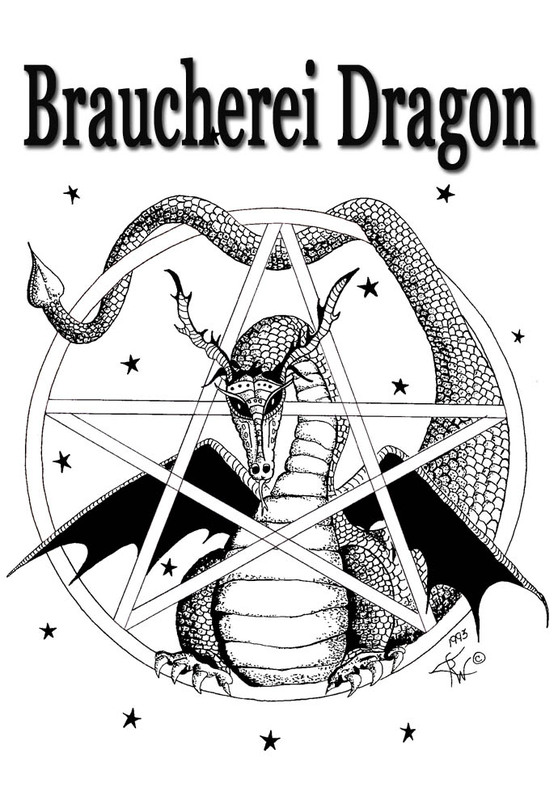 Would you rather use a design you’ve already seen and make it more magickal? No problem! 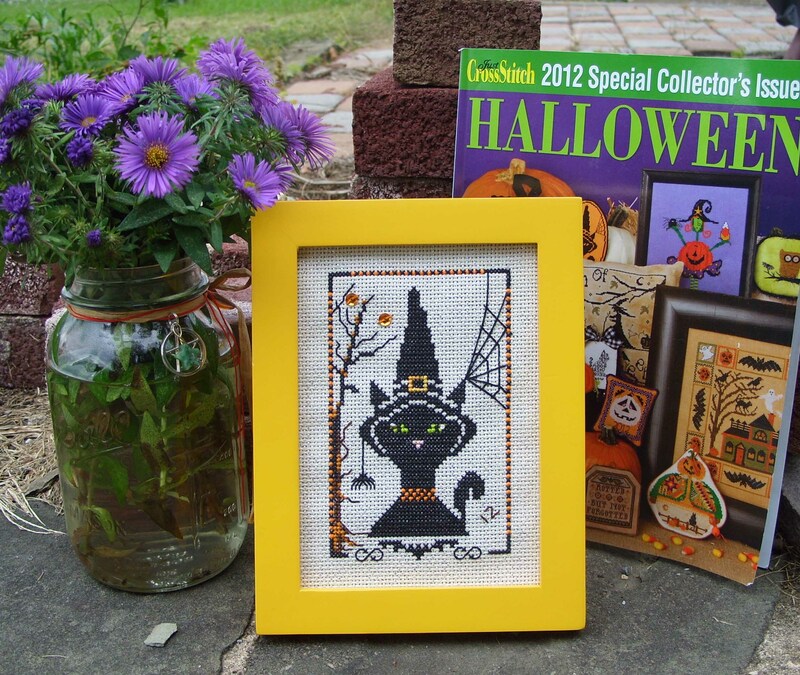 In the example below I took a pattern from this year’s Just CrossStitch 2012 Special Halloween Collector’s Issue pages 15 and 16. I added sequins, changed the tree, and added a border. Before framing, I inserted a Lucky Black Cat herbal formula behind the design. The original design was shown on orange Aida — something not available in my rural area, so I used a sparkle version and added a little color of my own. With the addition of the magickal herbs, no one really knows just how enchanted this little cat really is! I do hope that you enjoy my holiday offering this year! The designs given that are mine are free for you to use in any project — and you are certainly free to sell your work. All I ask is that you do not sell the pattern, or offer it in a collection of patterns for sale. Happy Holidays! For Infection, Inflammation, Removal of Negative Energy, Fighting a Fever: The Weed and the Dragon crossed the River Jordan. The weed sank, the Dragon Drank. — Charm from Preston Zerbe, Adams County Pennsylvania Pow-Wow. Update: The healing circle went exceptionally well! Our next circle is in two weeks. See date below. Join with us at 8:00 PM EDT Thursday, September 20th in Spirit as we work for those in need. Any request is welcome. As September is often the month of endings (on this part of the world) The theme this month is: Closure. Of course, we will work on all requests, and hope that you join in with us, too!